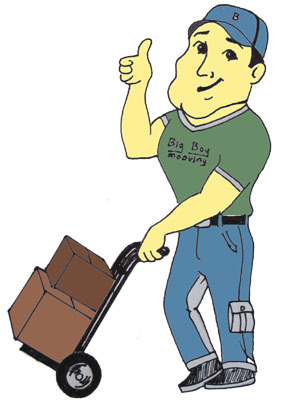 Big Boy Moving and Storage has services available for every type of move, for many locations and for every budget there is. We have a full service package and will do all the hard work while you sit down, relax and have a cup of tea. We will pack, sort, organize, load, unload and unpack your belongings for you. We can get you to your new location in the safest and fastest way we know how. No delays, no excuses. We can also assist you with our self service move. This package is intended for individuals, companies, organizations or families which opt to pack and unpack their belongings. Our role is to drive your belongings and assist you whenever we can to spare you the unnecessary burden of the long haul and provide a helping hand. At Big Boy Moving and Storage we know that sometimes there is no way you can bring all your belongings with you. This is why we have a full service storage facility equipped with climate controlled cubicles for your storage needs. Our facility has high tech security equipment and is safe from pests and rodents. No endeavor is big enough for us. We will assist you in your move.